For a high risk business type, getting a merchant account can be difficult. Most independent sales organizations, processors, and sponsor banks in the acquiring side of the payments industry are risk adverse and simply do not offer service to companies categorized as restricted or prohibited while the providers that do offer high risk services often operate more privately and are hard to find. Perhaps it is time to stop looking in all the wrong places and start working with a knowledgeable, experienced, high risk savvy payment consultant with dozens of service provider relationships and an excellent track record of actually getting accounts approved and helping clients enjoy stable processing relationships. And by the time you are done reading, hopefully we will have demonstrated our knowledge and experience of the subject and convinced you to contact us for help with all your payment needs. Many types of businesses are considered high risk in the merchant acquiring side of the payments industry. Companies can be considered high risk for several reasons but primarily it is the merchant category code; or in other words, the business type. Collection agencies, consumer lenders that do short term payday lending (PDL brick and mortar, online, & tribal/sovereign), line of credit installment loans, signature loans, and auto financing, business lenders that do merchant cash advance or business loans, vape shops e-cig online stores and wholesalers, nutraceuticals (wellness and nutrition supplements like energy drinks, diet pills, weight loss, green tea and herbal extracts, Garcinia Cambogia, etc), document preparation services (student loan consolidation doc prep), debit negotiation and settlement services, network marketing, affiliate direct selling and multi-level marketing (MLM) companies, credit repair, financial products/services, money services businesses (MSBs), trial offers with negative billing called “continuity” (in compliance), time share sales, tech support (onshore and offshore), travel agencies and clubs, internet travel/cruise booking (owner must have good personal credit), dating internet service (non adult), software downloads, companies with subscriptions and membership fees, internet large ticket electronics, internet computer sales, telemarketing, internet services/hosting, internet electronics, weight loss or quit smoking systems, furniture sales (retail and internet), bail bonds, telecommunications and VoIP providers, extended warranties (1 year limit), trial offers, forex and crypto currencies, gems and precious metals, fantasy sports, freight forwarding, hair restoration services, financial consulting, lead generation services, modeling agencies, tax preparation services, and more. Other factors that determine whether or not a business is high risk may include prior processing history, business model, risk of future delivery, owner’s personal credit score/history, whether or not the company has been placed on the terminated merchant file (TMF), which country the company is incorporated/registered, and things like that. Even for high risk, chargebacks typically need to be under 1.5%. If chargebacks are over 2%, then a chargeback mitigation plan will be required before an application is submitted. 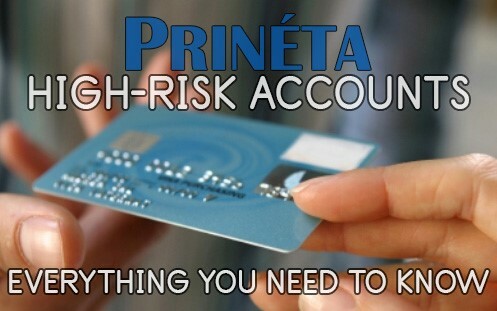 If your business falls into the category of high risk, you can still get a merchant account. We can help. The following lists the account types we have had success placing within the US in recent years. Seeing as how the high-risk industry changes every 2-3 weeks, as banks are always facing new regulations, it’s hard for us to give you an exact list of what we can or can’t do as the market is so fluid. Just complete the contact form at the bottom of this page to request a free, private consultation. Age Verification, Annual Memberships, Adult Novelties/Lingerie/Content, Alcohol/Wine/Liquor Online, Animals by Mail, Auctions, Bail Bonds – MOTO, Bankruptcy (required time since discharge), B2B, B2G (high average tickets from military contractors, $5K etc), Business Opportunity (biz op), Canadian Retail, Canadian E commerce, Check Cashing, Cigars (eCom), CNP Tobacco, Collection Agencies, Credit Repair, Continuity (free-trials, negative opt-out billing, previous history is typically required), Daily e-Coupons (like Groupon.com), Dating Websites & Matchmaking Services, Direct Marketing(Trial/Continuity), Discount Medical/Insurance Memberships, Discount buying clubs/prepaid, Ebooks/Digital/Software Downloads, eBay Merchants (no website), eCigarettes & Vape Accessories, Extended Warranty & Protection Services, Non-Profit 501c3’s, Fantasy Sports, FFL Dealers, Future Fulfillment, Furniture/Home Improvements, Gift Certificate & Stored Value, Grants, Herbal Supplements, Hotel Reservations, International Accounts, Investment Advice – Stock Trading Tips/Mentoring/Software etc, Internet Service Providers, Large Average Ticket greater than $2500, Live Animals (puppies/lizards etc), Memberships/ Subscriptions, Micro loans (debit card or credit card repayment), MLM Direct Selling and Affiliate Marketing, Multi-Currency, Nutraceuticals, Offshore, Pharmacy- Retail only, Penny Auctions – No startups are taken with any of our processors, Poor Credit, Precious Metals, Prepaid Phone Cards, Psychics/Fortune Tellers, Sports Info (forecasting), Stun Guns, Tax Resolution, Tickets to Events (future fulfillment), Timeshare Advertising, TMF Merchants, Travel Services, Warranty Services, Vacation Rentals. Note – Merchants engaged in illegal activities or operating in violation of FTC rules will not be accepted. For high risk, the process is different than low risk. With low risk, you submit a long form full application, go through underwriting, and then you are typically approved in a day. With high risk, you start by submitting a short pre-app form along with prior processing statements, which then gets reviewed by the acquiring provider and acquiring bank, then if pre-approved and invited to apply, you are asked complete the long form full application and provide all the supporting documents. In a nutshell, it is an 9-step process: 1) Inquire, 2) PreApp and Statements, 3) Initial Underwriting, 4) Proposal with Pricing, 5) Full Application and Agreement, 6) Supporting Documents, 7) Full Underwriting, 8) Approval and Account Set Up, and 9) Testing and Merchant Training. Note – When sending in your pre-app form, please rename the file to your company name so it doesn’t get incorrectly filed or anything. When completing the application, make sure every field/box has been filled out and if something doesn’t apply, put “N/A” (don’t leave anything blank). And instead of sending multiple emails with multiple attachments, try to put the agreement and all required documents into a single .pdf or .zip file. Use Adobe Acrobat or another program to merge all required supporting documents into a single .pdf document with multiple pages; this will impress the underwriting staff and make things go quicker. If you have all the required information, the process can go fairly quickly; if you don’t, the process can drag out. So be prepared before you even start the process. Some processors will charge “penalty driven” setup fees if all the documents are not provided all together up front so be prepared. With some processors (but not all) if the merchant turns in an incomplete application or needs more due diligence- then $599 set up fee upon approval or from first transactions will be assessed – if the response from the merchant with the needed items takes more than 3 business days. The next section will outline what information is required. For the PreApp process, you should be prepared to provide basic information about the company, its owner(s), description of what the company does, website URL address, projected dollar and transaction volumes, and information about how the company operates using the Prineta PreApp Form for High Risk. In addition to the PreApp form, if you are already processing, you will also need to provide 3 complete merchant processing statements with total sales, returns, chargebacks, etc and 3 months of current bank statements. Transaction history reports are typically not sufficient; “proper statements” are typically required. If you do not currently have a merchant account, statements from PayPal, Dwolla, or others will help you get approved. Three (3) most recent monthly processing statements supporting current total annual volume. Plan to send copy/scan of printed statements or screenshots. CSV/Excel files are not trusted. Two (2) years of annual business financial statements. Interim financial statements if business is less than 2 years old. If start up, most recent personal tax returns on owner(s). Business summary or plan that speaks to the merchant’s experience in this industry and their plans for managing growth – staffing, customer services, etc. For larger accounts, sometimes financial statements will be required (balance sheet, profit and loss) and business tax returns (most recent, personal tax return can be substituted if business tax returns are not available). For Canadian Businesses, a Canadian EIN, Verifiable Canadian Address, and Canadian Bank account are required. At a minimum, for all high risk accounts, even those that do not sell online, you must have an active website with full street address, customer service phone number that works (it will be tested), refund policy, and terms and conditions for products/services sold. Complete description of goods and services on website. Full disclosure on the true price a customer would pay, displayed in a way people can understand. Company registered address clearly visible at footer of each page or on contact information page. Customer support easily available and includes either a web contact form or an email address, and a customer service phone number. Return, refund, and cancellation policy. Frequently Asked Questions (FAQs) page with links to pages for return, refund, disputes, etc. Terms of membership on website (if applicable). Delivery policy (to include export restrictions, if any). Shipping options, delivery timescales, and shipping fees present. All products apply to the same merchant category code. Employ security features and risk management measures (CV2, 3D Secure, VbV, PCI, fraud scrubbing, etc). Avoid links to other websites, especially unsecured links that do not use HTTPS encryption. When you hit the site, a pop up age verifier must come up before even getting into the site. In the high risk industry, pricing varies based on several factors like: business type, volume, prior processing history, country of incorporation, credit score of the owner, and together make up what is called the “risk profile” in the industry. Many US-based high risk accounts can be placed in the 3% to 4% range dependent upon review. Startup businesses are often times priced higher than established businesses with good processing history. Some business types have higher rates than others. For example, tech support is often times closer to the 5% to 6% range and continuity business models (trial offers where customer is billed after the trial period if they don’t cancel) can be in the 6% to 8% range. There are processors out there that will offer offshore merchant accounts to companies and organizations not incorporated and registered in the United States, Canada, Australia, UK, and EU but they are very difficult to find and typically charge very high fees. More information on UK and EU high risk merchant accounts can be found on our international website. 3) US Signer – Typically a US resident with >50% ownership is the signer but LLCs can be “Manager-Managed”. Be prepared for a site inspection; this is often times required by high risk processors. It’s ok if the business is out of the home or even an apartment but someone may come to see if there is a business there. Business Continuity. If anything happens with your primary merchant account and it gets shut down for any reason, you will be glad you had a second or third account. If you have more than one account, your business can continue to operate without any interruptions in your ability to collect payments. Not being able to process for a couple weeks or more could really damage your business. Having multiple MIDs is like an insurance plan for the high risk business. Volume Limits. Some high risk providers only approve newer merchants for a limited maximum processing volume. For example, some accounts are approved with a limit of $30,000/mo. If a business really needs to be able to process more than that, then the only answer is to get a second merchant account. If you want or need to run multiple merchant accounts, called multiple MIDs in the industry, then you need a powerful gateway that can support a large number of processing networks, load balance transactions across multiple MIDs, support volume cap limits, support fraud management tools, and allow you to centralize all reporting. Authorize.Net and multiple gateway accounts is always an option, but when you can route sales through multiple accounts, using multiple processors, all through a single gateway login, life is much-much easier. The gateway we use allows automated routing based on product name, merchant account, risk, sale amount (high ticket), or even based on percentage of gross sales amounts. And if you configure a volume cap limit for your accounts, they can be taken out of the rotation automatically when they hit the limit. If you have more than one type of product, this is very helpful when you want to process some products through a higher cost “high risk” accounts, while running other products through the lower cost “low risk” accounts is an important cost saving measure. Another important gateway feature to mention is fraud scrubbing; this utility allows you to configure extensive filters to help detect and protect against fraud and screen out suspicious transactions. Ask us about the gateway we recommend for high risk clients and we can set you up an account. Pricing is typically the same or lower than other gateways that do not have the same load balancing capabilities or risk management tools. Reserves, or money held to offset risk, is sometimes required when getting a high risk merchant account. As the processor takes all the risk if things go bad, they can balance that risk by requiring a reserve. The amount of reserve required varies by merchant type and other factors but is typically based prior processing history and the owner’s personal credit. 5% and 3 months rolling is common but not always required. A 6 month “rolling reserve” of 5% or 10% is frequently requested on new, or higher risk merchants. Continuity business models with trial offers and negative billing option are extremely high risk and will require the highest reserves. Using a “straight sale model” (where all products sold are “one-time sales” prepaid for no more than 4 months with no recurring billing) will improve the chances of getting approved and substantially lower the amount of reserves required. Credit Repair/Debt Collection typically requires at least 10% Reserve. Tech Support, Continuity, and others could require up to 25% Reserve. The amount of reserves required will be part of the proposal you receive from the processor. Standard processing for merchant accounts is 48 hours while higher risk accounts sometimes require funds to be held 1 to 4 days after settlement depending on prior processing history and owner’s credit. Each processor has different policies and offer different hold times based on underwriting risk so be sure to ask about this when inquiring about getting an account. TMF = Terminated Merchant File. For many merchants, getting on the TMF or MATCH list typically results from having too many chargebacks but there are other ways. A thorough explanation is available in Section 11 of the MasterCard Security Rules and Procedures document but to summarize, TMF/MATCH list occurs if the merchant is engaged in: unauthorized disclosure or use of account information, money laundering activities involving fake transactions, excessive chargebacks (>1% chargebacks totaling >$5000), excessive fraud-to-sales dollar volume ration >8% and >10 fraudulent transactions totaling >$5000 in a month, criminal fraud conviction of a principal owner of partner of the Merchant, bankruptcy/liquidation/insolvency, violation of card association standards, fraudulent collusive activity, failure to comply with Payment Card Industry (PCI) Data Security Standards (DSS), illegal transactions for transactions prohibited by law, and identity theft and unlawfully assuming the identity of others to get a merchant account. Often a termination resulting from too many chargebacks can be corrected with time. But the only way to get off TMF MATCH is through the same bank that put you on it in the first place. Once you discover you are listed, the first step is to call your former provider. A TMF merchant will be on the TMF MATCH List for 5 years. If First Data Corporation, the merchant will be on FDC’s bad list forever. In addition to the standard required documents, we will also need to know where you have applied already and where you got into trouble. Getting off TMF is not easy and sometimes businesses need to “start-over” with a new corporation, different owners, new EIN, new bank account, new website, new phone number, and a new business model or business process; basically new everything because every field in an application can be a MATCH. Then if/when you get a new account, you need to do everything possible to mitigate chargebacks and avoid getting placed on the TMF MATCH list in the first place; then be honest and run a good business. It is probably no surprise but many reviews online are fake and some of the top 10 best websites only recommend processors that are paying to be listed. In our opinion, reading online reviews or forum posts is not the best comparison of providers or way to decide which processor to use; while reviews can be valuable, often times a better approach is to talk with an experienced payment consultant that has experience placing clients with providers that have a proven track record of accepting and reliably servicing the needs of high risk businesses. With a good-sized portfolio of clients, we have good visibility into the high risk processing industry and know which providers have a good track record of client satisfaction. We can save you time and hassle. Talk to one of our consultants by filling out the form on the bottom of this page. While they may not be easy to find on the Internet, there are very experienced people in the high risk payments industry. Finding an expert that specializes in high risk is probably the most important thing you need to consider when looking for a new account. Don’t waste your time hassling with people that talk a big game but can’t actually get deals done or if they do get you an account, it gets shut down or they hold your money or something. Instead, we recommend you find a consultant and leverage their experience and relationships to get set up with a couple stable processing accounts from processors that know and understand high risk and have a history of good client satisfaction. We may be biased but we believe there is value in experience. From our perspective, good agents do not need to “shop your deal” and instead will go directly the processors known to accept and support particular merchant types. Good agents know what is required to get approved and can help guide you through the process. While we do many things payment related, we are pretty good at helping higher risk business types with credit card processing accounts. We can help you get one or multiple high risk merchant accounts. We have worked hard over the last 7 years to cultivate relationships with multiple processors so we have multiple options available for our clients. One of our processor partners is a subsidiary of a publically traded company and we place qualified clients directly. Another agency partner has been doing high risk accounts for 22 years (since 1992) and has hundreds of high risk accounts, including some very large collection companies, PDL, and MLM clients. Another direct partner we work with has been in business for 15 years (since 1999) and they do all their own underwriting in-house and issue their own MIDs. And we have several other domestic and international processor partners that we can leverage if needed. We specialize in the more sophisticated and complex payment needs of our clients and take great pride in achieving very high client placement rates and client satisfaction. We help organizations from start-ups to multi-billion dollar enterprises, using scalable and distinctive strategies proven over time. We set up several new accounts per month and have worked with hundreds of high risk clients over the years. Given our experience, we are confident we can help you with you payment needs (and if we can’t, we will let you know and not string you along). Just complete the form below and we can start the process of getting you an account. We only work with legitimate and legal businesses that happen to be categorized as high risk. We do not work with companies that defraud customers, illegal businesses, or criminals. Start the application process by filling out our High-Risk pre-app form. Enter your contact information in the form below and we will follow up with an e-mail and phone call right away.